Distracted driving claims an average of nine lives each day and accounts for over 1000 injuries, reports the National Highway Safety Administration. The cost to organizations, related to accident injuries and deaths, is hefty. A single vehicle crash can cost employers about $16.000 according to the Occupational Health and Safety Administration (OSHA). That amount soars to over $74,000 if the accident results in injuries. In the case of a fatal crash the cost can be $500,000 or greater. As mobile technology continues to develop, driver distractions increase accordingly. The importance of implementing an exemplary driver distraction program in work truck fleets of all sizes becomes paramount to safety and operating costs. In 2015, NHTSA reported that distracted driving accounted for 10% of fatal crashes, 15% of injury crashes and 14% of all police reported crashes. The National Safety Council (NSC) estimates that cell phone use alone accounts for 27% of motor vehicle crashes, which often go unreported. An NSC survey of more than 3,400 adult drivers in the U.S. showed that drivers engaged in distracting activities often or occasionally. These distractions were mostly communicative, such as answering the phone or making a call, reading or sending text messages, posting to social media or participating in a video chat – all while operating a motor vehicle. Other distractions include using navigation systems, eating or drinking, surfing the Internet, posting or looking at photos as well as personal grooming. An organizations profitability can be permanently affected by the cost of distracted driving accidents. Organizations are faced with increased insurance premiums, possible litigation costs, Workers Comp claims, diminished vehicle value and lost productivity. In addition the accident may bring negative publicity and damage to the company’s public image. The actual cost of an accident equates to three to five times the direct cost, on average. In the case of a fatality this actual cost is much greater. This list compiled from fleet management and safety companies itemizes what companies practices help drivers eliminate distractions. Get Set Before Setting Out. Drivers should set GPS and climate control, adjust mirrors and seats, and adjust sound systems before hitting the road. Don’t Multi-Task. A driver’s job is to drive only. Drivers should never multi-task while operating their vehicle. No texting, video chatting, or social media posting should ever be performed while driving. Avoid Complicated Technology. Using voice activated systems or hands-free devices may seem safe, but studies have proven to the contrary. These systems are as distracting as manually operated versions. Avoid Eating or Drinking While Driving. Consuming food or beverages while behind the wheel can be a big distraction. Drivers should eat before or after their trips. If necessary, drivers should pull off the road for that cup of coffee or energy snack. Stay Off of the Phone While Driving. A driver should always pull off the road to a safe place to make a call. Even the use of a hands-free device could have disastrous results. According to the American Automobile Association (AAA), drivers can remain distracted for 27 seconds after making a call on a hands-free phone. That is enough time to cover the distance of five football fields. Secure all Gear Properly. Loose gear should be stored in the proper compartments to prevent the items from rolling around the cab. Reaching for loose items while driving is inviting disaster. Get Organized. Clutter in the truck is tantamount to distraction. 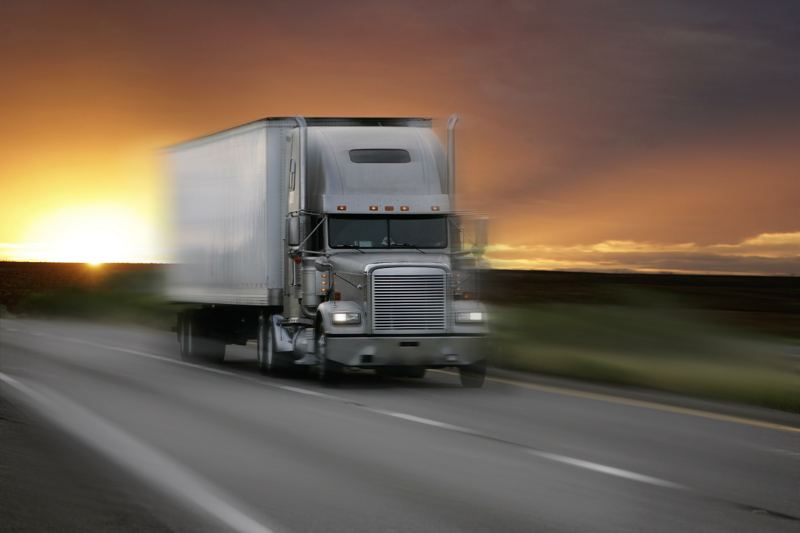 Drivers should keep paperwork stored properly as well as electronic devices. Groom at Home or on Layovers. Drivers should never groom or dress while driving. These practices should be done at home or while off duty. Never Drive Drowsy. More than 100,000 crashes each year are attributed to drowsy driving, according to NHTSA. Drowsy driving can adversely affect driving ability as much or more than driving under the influence of alcohol, reports the National Sleep Foundation. Drowsy drivers should find a safe place to rest immediately. Driver assist systems are one of the latest advancements in technology that can help keep drivers focused on the road. Reverse sensors and cameras, adaptive cruise control and hands free Bluetooth connectivity for communication are being incorporated into truck cabs. In addition, risky driver behavior is being identified by onboard technology and provides drivers with real-time instruction to prevent accidents. For example, Zonar Coach helps monitor drivers behaviors in real-time when they are speeding, braking too hard or swerving – all signs of distracted driving. These types of systems can also capture video of driving occurrences to provide learning from past mistakes and give managers the opportunity to reward safe driving behaviors. For those operating commercial trucks and vehicles it is particularly dangerous to take your eyes off the road for even seconds. In today’s hyper connected world, anyone is liable to become a distracted driver and cause a calamitous event. 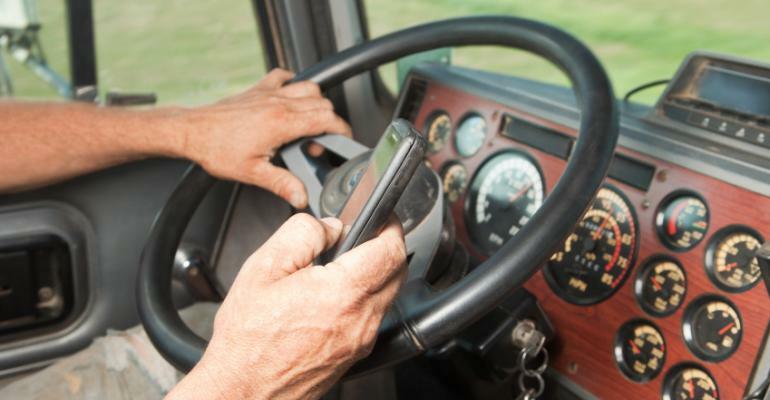 Understanding the causes behind distracted driving, implementing the proper prevention training and employing the latest technology is critical to ensure truck drivers and operators stay attentive and safe behind the wheel. Vititoe Law Group is committed to safety on our roads and highways through safe driving education and technology. If you or a loved one were hurt in an accident involving a commercial truck or vehicle, reach out to a truck accident attorney today for a free evaluation of your case. You may be entitled to substantial compensation. Call 818-991-8900 today or contact us online.